Expert repair and custom rebuilding of mechanical speedometers, tachometers, starters, alternators and generators. Custom speedometer cables made to order. 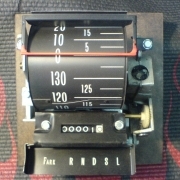 Classic Speed GPS speedometer drive/calibrator for use with your original cable driven speedometer, ratio adapters for speedometer calibrations.